1 Combine Hellmann's® Organic Original, vinegar, salt, ginger and pepper in medium bowl. 2 Add lentils to bowl and toss to coat. 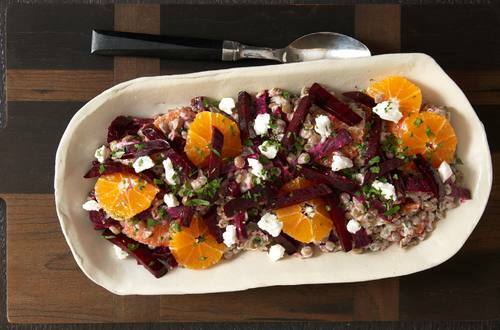 Arrange on serving platter, then top with beets, oranges, goat cheese and cilantro; toss.